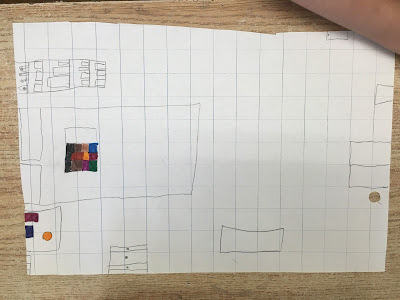 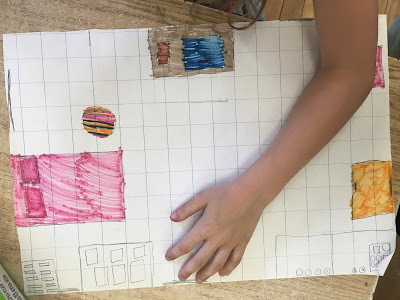 We made maps of our bedrooms! 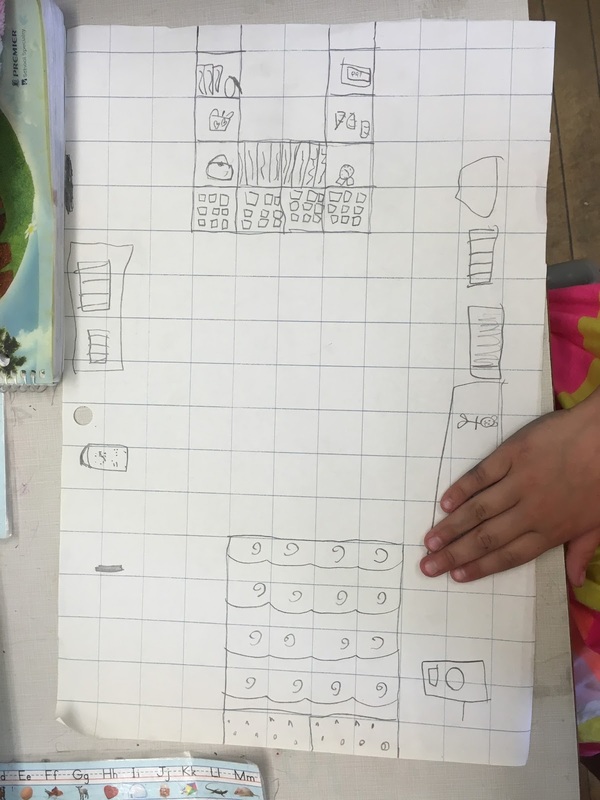 We read some books about mapping, and then made maps of our bedrooms. 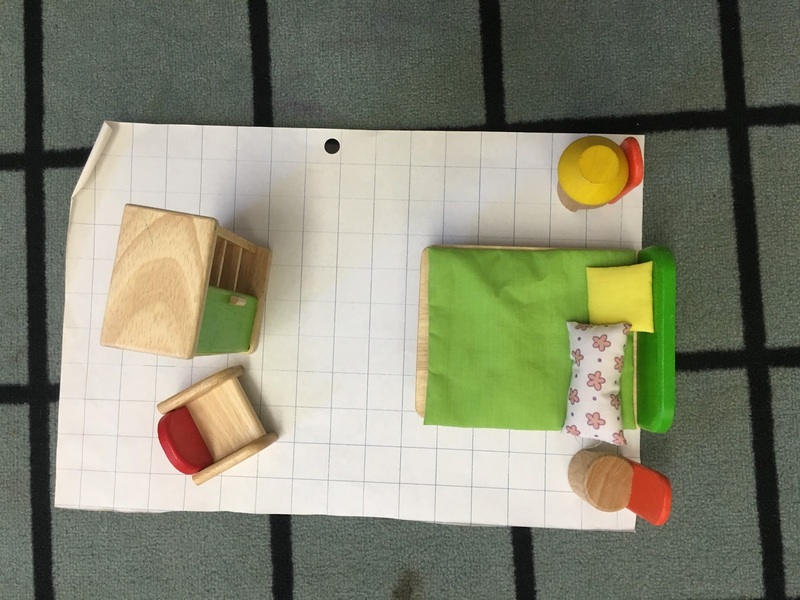 We discussed birds eye view and then used some real doll house furniture on a grid to represent our furniture. This really helped with the scale of furniture (and toys) in the rooms.